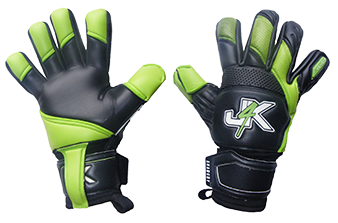 Please See Below Our Junior Goalkeeper Gloves: You will NOT get a better professional junior goalkeeper glove at this price level, anywhere on the Internet As J4K prides ourselves In providing quality high specification goalkeeper gloves at very fair prices. IMPORTANT: IF You Are Opting For Finger Save Goalkeeper Gloves, Please Do Not forget To Oder The Finger Spines Separately. IF YOU NEED ANY GLOVE GUIDANCE CONTACT J4K ANYTIME. Inspire V1 Hybrid (Roll+Neg) Goalkeeper Glove Cut : Hybrid (Roll+Neg) Pin Hole Mesh Black ..